SAL200 can provide rapid and effective bactericidal activity against encapsulated and biofilm-forming Staphylococcus aureus, as well as against planktonic Staphylococcus aureus, and broad-spectrum bacteriolytic activity against Staphylococcus aureus isolates. SAL200 has a unique mode of action and strong bactericidal activity independent of bacterial antibiotic susceptibility patterns. In addition, SAL200 is highly specific for staphylococci (i.e. target bacteria) and rarely lyses off non-target bacteria, including commensal bacteria, which may reduce clinical complications. The purpose of this program is to address antibiotic-resistant strains with differentiated potency, speed, specificity, and activity as compared to other antibiotic programs. These key features of SAL200 address the unmet medical need of current crisis in controlling resistant strains in the field of infectious diseases. iNtRON Biotechnology has established the SAL200 program based on the strong belief that conventional antibiotics will be defeated in the ‘Arms race with bacteria’; and bacteriophage and endolysin will be a game-changing therapeutic approach to antibiotic resistant bacterial pathogens. Unlike most conventional synthetic antibiotics which are inhibitors and induce the development of resistance in bacteria to them, endolysin has an ability to cleavage specific linkages in the bacterial peptidoglycan layer as its mode of action. 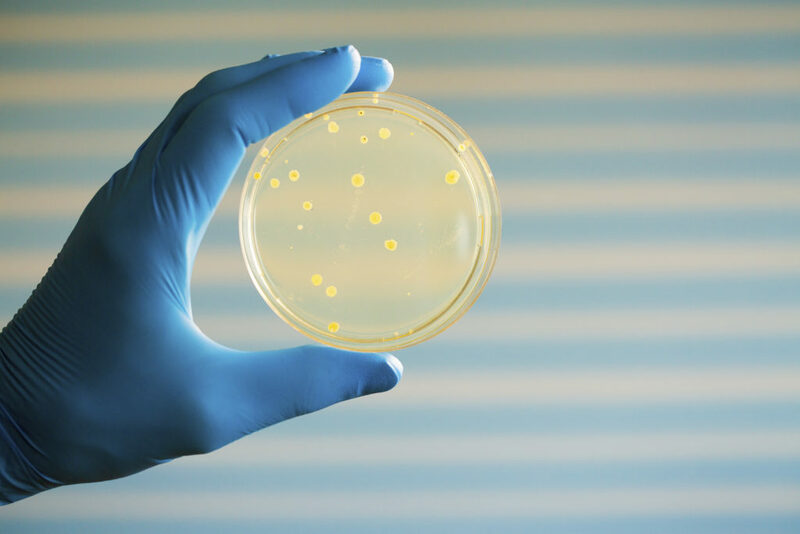 This characteristic offers endolysin the power to solve a fundamental problem of resistance, and that is why SAL200 will be a first-in-class antibiotic, functioning completely differently from that of conventional antibiotics. In addition to SAL200 development, iNtRON has built up a platform of R&D centered on developing the entire endolysin platform technology. Based on our unique ‘Endolysin Platform Technology’, we have developed a variety of pipelines targeting both Gram-positive and Gram-negative bacteria. In 2014, a phase 1, single-center, randomized, double-blind, placebo-controlled, single-dosing, dose-escalating study of intravenous SAL200 was conducted in Korea to evaluate the pharmacokinetics, pharmacodynamics, and tolerance of SAL200 in 36 healthy male volunteers after intravenously infusing single, ascending doses (0.1, 0.3, 1, 3, and 10 mg/kg). As a result of the phase 1 clinical study, SAL200 exhibited acceptable safety and tolerability in humans (no serious adverse events and no clinically significant values were observed). Currently, phase 2a clinical trials for SAL200 are underway. The randomized, double-blind, placebo-controlled phase-2 trial held at Seoul National University Hospital and Bundang Seoul National University Hospital targets patients with persistent bacteremia originating from Staphylococcus aureus. In addition, phase 1 Multiple Ascending Dose (MAD) study is underway in Korea to investigate the safety and pharmacokinetics of SAL200 after multiple dosing. Upon completion of the Korea phase 1 MAD study, IND for the U.S. and the phase 2 clinical study of SAL200 will be prepared. iNtRON has been awarded a variety of types of non-dilutive funding from the Korean Government. For instance, ‘Innovative Medical Technology and New Drug Development Grants’ were awarded from the Ministry of Health and Welfare (MOHW) in the amount of approximately USD 2.5M over three years. The award will fund the continued advancement of phase 2 clinical studies of SAL200 in Korea.